Matera: the Sassi e the Old Town. 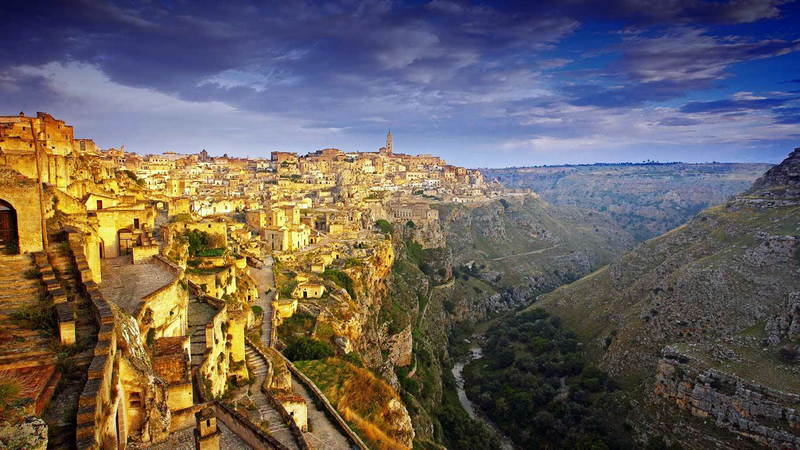 There are too many things to see and to do in Matera to be satisfied in a half-day visit! 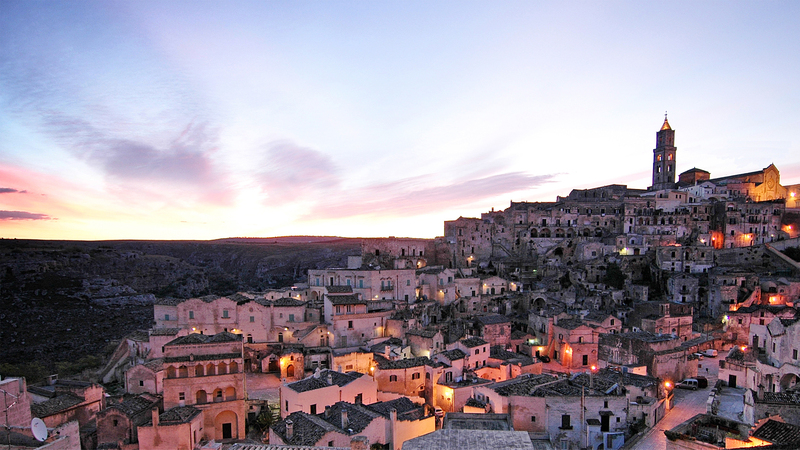 Moreover, a Matera citizen never acts quickly for nature. At least he would tell you: “v’ sit a stè tranguill, ci ve la fesc fé!” (be cool, why bother?)! If you don’t want to lose anything of the hidden beauties of the Sassi and, in the meantime, you want to learn everything (well, almost) of the most ancient city in the world, this guided tour suits you well. We’re going to visit the Old Town, the Civita and both Sassi, along a path conceived diachronically: from the very heart of the city we’ll move through the archaeological traces engraved in the rock from the Iron Age to the Late Antiquity; we’ll visit some of the most ancient frescoed cult places in Matera and then, left the Sassi, we’ll move to the “Piano”, along the lines of expansions of the city from Middle Ages to XVIII century, from the austerity of Romanesque architecture to the magnificence of the Baroque. The tour also provides, by request, the visit to the Archaeological Museum “D. Ridola”. Don’t have a full day? Try the short version! Do you need some basic information about the Sassi? Check this link out! Take a look at the videos made by SkyVideo and by VisitMatera for a little preview of some of the sites we’re going to see along this route.